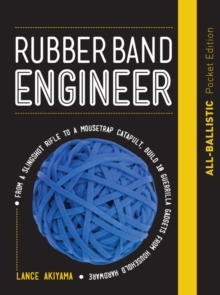 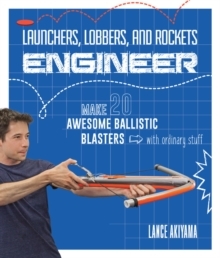 In Duct Tape Engineer--the book of Big, Bigger, and Epic Duct Tape Projects hands-on educator, master tinkerer, and author of Rubber Band Engineer, Lance Akiyama breaks away from table-top crafts and shows you how to design, sculpt, and build backpacks, kayaks, catapults, a queen-size bed, and even even a writing desk and chair with duct tape. 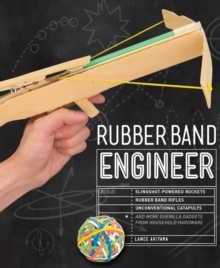 These fourteen projects are designed to be long-lasting as well as fun, and include advice on solid construction techniques and even weather proofing. 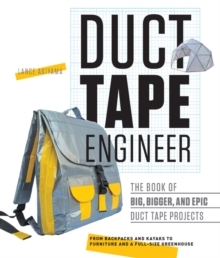 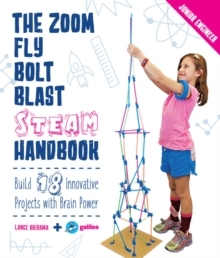 Packed with full-color illustrations and easy to follow instructions, Duct Tape Engineer will make the perfect gift for any maker on your list.